Home Vitiligo How to perform a beautiful Vitiligo makeup? Vitiligo is a skin pigmentation problem that causes white patches to appear on various areas of the body. Nearly 4% of the entire world population is affected by vitiligo. Despite this, the exact cause of this disorder is still unknown. This problem arises if there is a deficiency in melanin in the skin cells. People suffering from hesitate to come out of their houses because of the unsightly appearance that the white patches create. There are a lot of treatment options available for minimizing the effects of vitiligo, both permanent and temporary. However, it is said that vitiligo cannot be completely treated. This is why some patients do not immediately resort to expensive treatments such as laser therapy; there is no assurance that the patches will not recur. 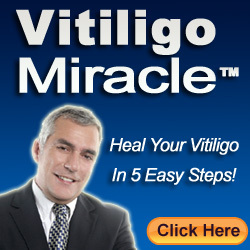 One temporary solution for making the symptoms less prominent is the use of vitiligo makeup. Although this is not a permanent solution, vitiligo makeup helps the patient cover up the patches for when he or she, for instance, needs to attend a public function or an important social occasion. ColorTration is the best makeup available for covering vitiliginous patches on the skin. This will easily cover, hide, and conceal the depigmentation of vitiligo on the face and on other body parts which clothing could not hide. This liquid camouflage makeup can set without powder. Thus, there is no problem of endangering the eyes with irritating chemical particles. This opaque liquid goes on easily and has equal, if not better, coverage than creams. For a more sheer cover to be applied on the face, this product can be diluted with Liposome Moisture Fluid. ColorTration can be used on the white patches formed because of vitiligo. It can be applied on the hands, legs, and virtually on any part of the body with the brush that it goes with. Since it can set without powder, it can be sealed with a barrier spray to prevent rub-off and to make it water-resistant. ColorTration can also be mixed with prescription creams and other such lotions that help in curing vitiligo. This product is also highly concentrated, and a mere pinhead size of this liquid can cover a large skin surface. It is also easy to remove with any makeup cleanser. If the barrier spray had been used, then a small amount of rubbing alcohol helps remove the makeup by breaking the seal. Dinair coverage system is one of the best makeup products specially made for people suffering from vitiligo. They have a wide range of colors that would match any type of skin. The Dinair coverage system completely neutralizes and naturalizes the appearance of the white patches because it is sprayed on and not rubbed on. This means that it can easily camouflage the sharp edges of the white patches. Moreover, the airbrush can be easily and precisely regulated to match areas that are darker and those that are lighter. Patients with vitiligo also have skin that is more sensitive. 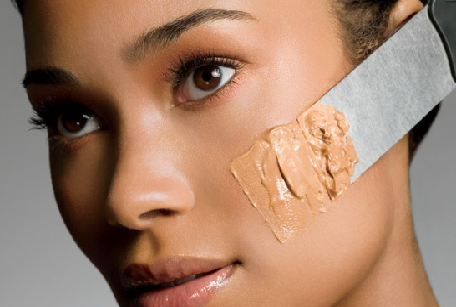 Most makeups are abrasive and may damage the skin, but Dinair’s natural components are delicate and light, and this helps prevent the condition from getting worse.